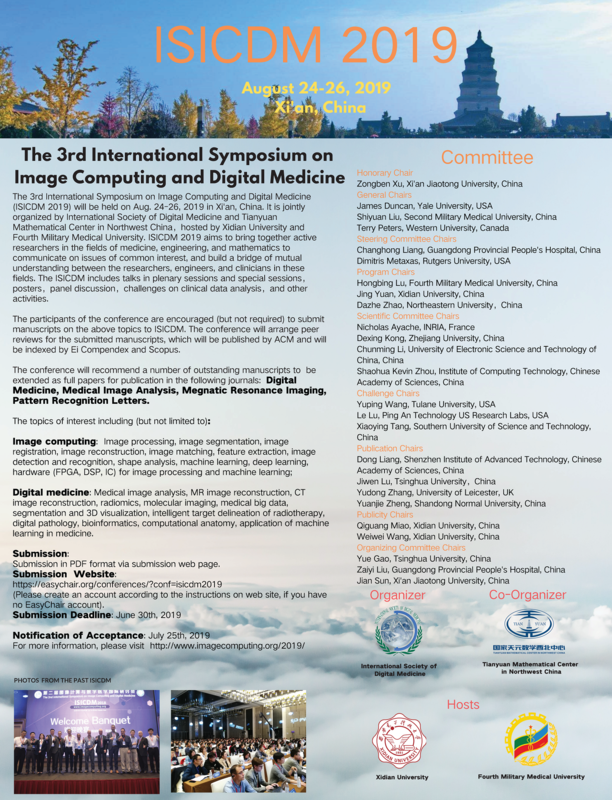 The Third International Symposium on Image Computing and Digital Medicine (ISICDM 2019) will be held on Aug. 24-26, 2019 at Xi'an, China. 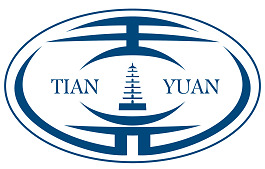 ISICDM 2019 is jointly sponsored by the International Society of Digital Medicine and Tianyuan Mathematical Center in Northwest China, and jointly hosted by Xidian University and Fourth Military Medical University. 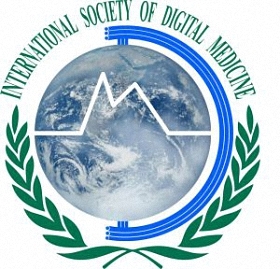 ISICDM 2019 aims to bring together active researchers in medicine, engineering, computer science, data analysis and mathematics to communicate on issues with common study interests, which builds the bridge for mutual understandings between clinicians, engineers, scientists and mathematicians. Digital medicine: Medical image analysis, MR image reconstruction, CT image reconstruction, radiomics, molecular imaging, big-data analysis in medicine, 3D visualization, intelligent target delineation of radiotherapy, digital pathology, bioinformatics, computational anatomy, machine/deep learning in medicine. 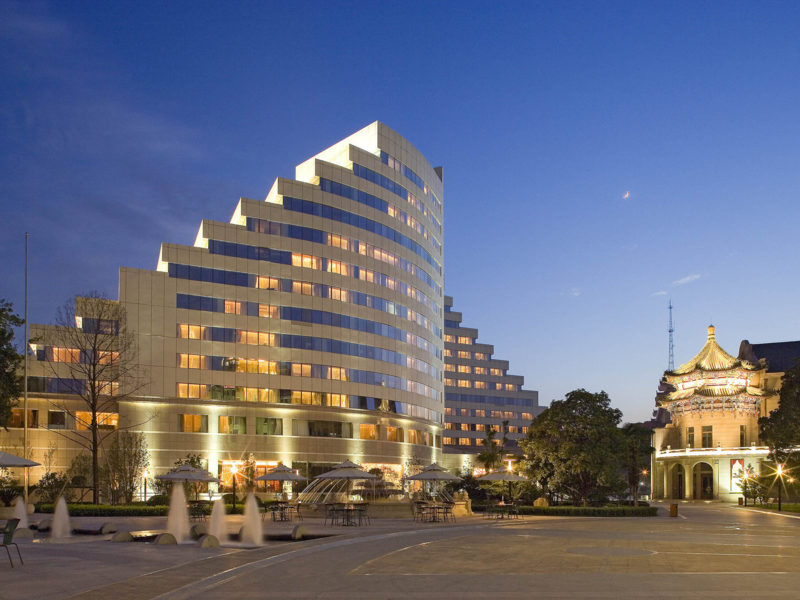 ISICDM 2019 will include keynote speeches, invited talks, oral presentations, posters, tutorials, panel discussions. Multiple special sessions will be organized for the following topics: advances in medical image analysis, advances in image reconstruction, problems and challenges in clinical medical imaging, machine learning and image processing, deep learning in medical imaging, mathematical methods in medical imaging, image segmentation and 3D visualization, interdisciplinary communication. 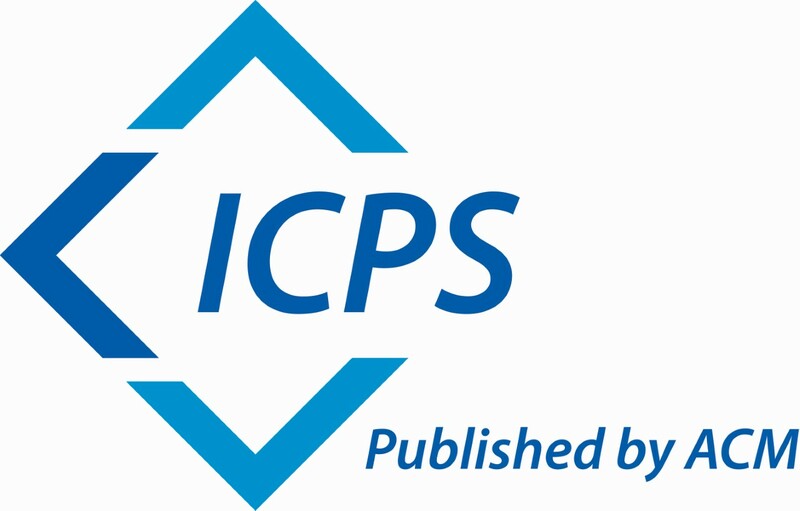 At most six papers among all the submissions will be selected as the best papers by the committee of ISICDM 2019. Each best paper will be rewarded 1000 RMB in a special session of ISICDM 2019.